A series of unrelated conversations over the past few months made me realize there is a lot of confusion about short selling a home. First of all, when a homeowner chooses to hire a Joe Manausa Real Estate agent to sell a home, it is that homeowner for whom we work. Period. It does not matter if the homeowner has equity or is short selling! If the homeowner is upside down on their home (meaning they owe more than it is worth), all of our efforts and work first and foremost are for the benefit of the homeowner. This short selling process allows us to get the seller out of a bad situation and moving on with their life. There does not ever become a time where we have a reason or purpose to switch our loyalties to the bank. This is one of the blogs where I find myself thinking "it goes without saying," yet I am saying it because of a few recent conversations. 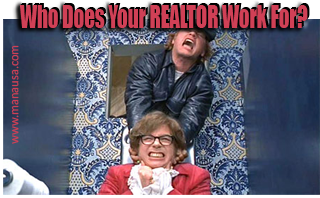 Who Does The Real Estate Agent Work For When Short Selling? One conversation I had was with a real estate agent who insisted that we (REALTORS) have a duty to the bank to help it get the most money possible. "After all," she explained, "they are the one that ultimately pays our fee in a short sale." While I was shocked that she would think this, I'm wondering how many other real estate agents have been trained this way. My company has a fiduciary responsibility to the homeowner, to help them resolve their housing problem in the manner that best suits their needs. Nowhere in our contract with the homeowner do we discuss the needs of the bank. If you need to sell a home in Tallahassee, you can rest assured knowing that the Joe Manausa Real Estate agent that you hire will always be working with your best interests in mind. In fact, you will have the full support of our entire office when you sell your home. Make no mistake about it. We work for the homeowner when they hire us to sell a home in Tallahassee, not for the homeowner's bank. If you are considering short selling a home in Tallahassee, just drop me a note and we can discuss your options.